Looking for a custom made mattress for your customize size bed or sleeping surface with the greatest comfort? Did you acquire a specialized bed at an estate sale? Is a European sized mattress needed or an odd international mattress size from the UK, Italy or Ireland needed? Are you building a loft within your bedroom for a customized shaped mattress? Do you have a boat or RV you wish to replace a special sized or shape mattress with? Orange Mattress and Custom Bedding a family business since 1902, can provide you with all of these offerings on custom size mattress replacements. Any odd size or abstract and unique shaped mattress we can make for you such as round, triangular, square, and yes indeed, the shape of Illinois if so desired. We would gladly accommodate you with your customized bedding needs as well. 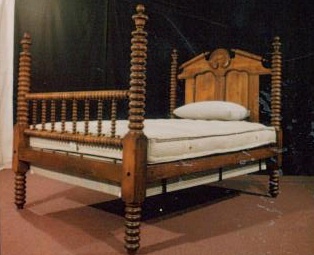 Handcrafted personalized custom mattress sizes as well as coil box springs built to fit your customized bed sizes.. Whatever unique custom size bed you have either 3/4, antique,round or standard, we can handcraft your double sided eco friendly, natural, green mattress. Our handcrafted custom comfort mattresses are manufactured the old fashioned authentic style. Each custom mattress size is personalized in order to accommodate your custom bed size as well as any standard size via the personalization. 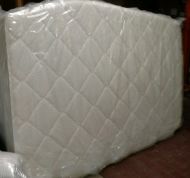 In addition, for those of you who like memory foam, we manufacture custom size memory foam mattresses. 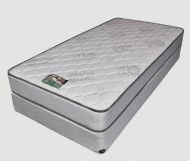 Any of those eco friendly natural mattress can be made to order to your level of comfort as well. We can gladly come out and measure your custom mattress for you (within range) in either the odd size or standard size. Shipping nationwide available. Any customized mattress comes in standard size or unique shape which is available to you in either a natural innerspring type, foam or memory foam. Please call us at 800-761-1100 or if you would like to fill out our form in the contacts tab with your custom mattress inquiry and we will get back to you right away. Great Custom Mattress at an affordable price which is also double sided. Medium Firm.